The minimum age is 13 for the Classic and International, and 16 for the Half Distance. Rocketman Florida registration is open to international participants. As part of our green efforts, all registration is online, through SmoothRunning.org. There is no Half Distance relay. A significant part of our race entry fee is due to our agreement requirement to purchase a Kennedy Space Center Visitor Center tour ticket ($53.25 retail price) for each entrant who rides onto the secured grounds of the Kennedy Space Center. Each individual registrant will receive a single day ticket to KSC, valid for 1 year. A single ticket will also be give to each relay team (not each team member). Additional tickets can be purchased at the Kennedy Space Center Visitor Complex. Athletes currently registered can send a check for the pricing difference to the address below. Be sure to include your full name and email contact. Requests are subject to availability. Visit the Awards & Divisions page for age group breakdowns and special division classifications. 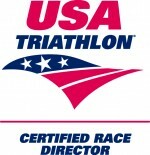 Athletes must have a USAT membership to participate. Be sure you are familiar with all RULES prior to the event. Join or renew your membership with USAT. There are no refunds for any reason, including injury, weather, event cancellation, etc.